The Feniex Flasher is a versatile 4-channel LED flasher that offers 40 patterns in a compact footprint. It's solid-state design allows for compatibility with both positive and ground switched LED modules. 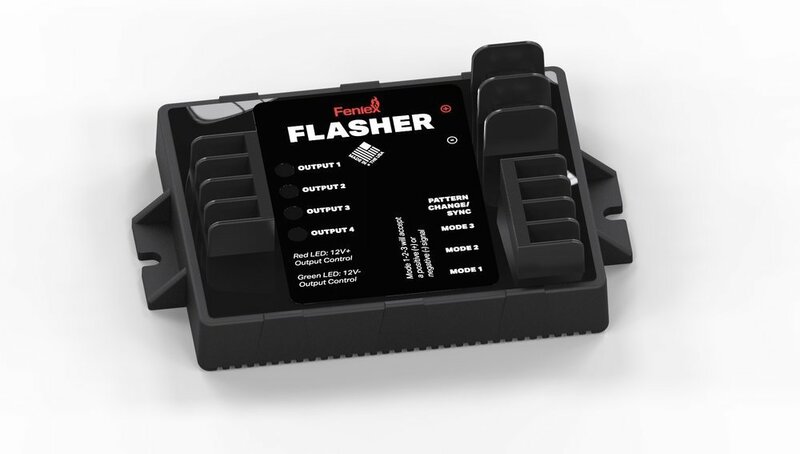 Compatible with all emergency response vehicles, the Flasher’s three modes make it flexible enough to function as both a warning and/or indication controller.